We are an ad-hoc group of professional and serious amateur musicians who meet on selected Sunday evenings to read standard orchestra repertoire, enjoy each other's company and network. We're under no pressure to perform, although we perform occasionally, and many of our group are regular players in local community orchestras. NJRO meets at 7 pm on selected Sunday evenings at Christ Episcopal Church, 74 Park Avenue, Glen Ridge, NJ 07028. June 2 - Family Concert! Music & Nosh! See video of our Dec. 30 Oakeside party! 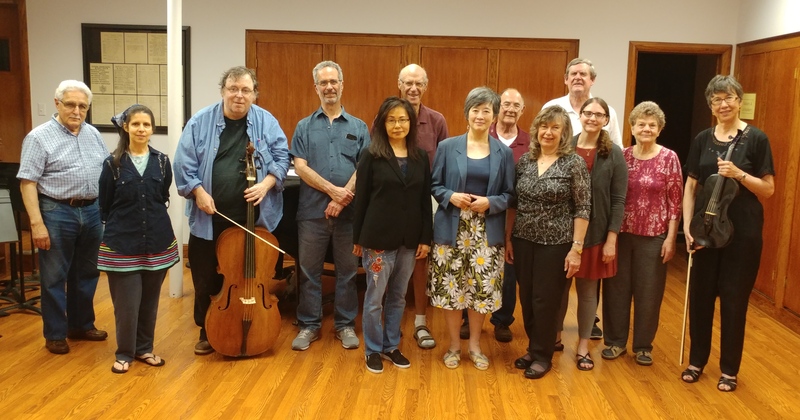 We're an ad hoc group of accomplished musicians ranging from serious amateur to professional who meet to enjoy reading orchestral and chamber works and to network and enjoy each other's company. Any orchestra player is eligible to join. We always need string players. 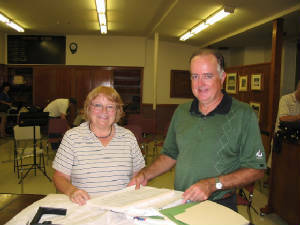 Woodwinds, brass and pianists should check with Laura at (973) 433-0244. Watch this space for our meeting dates.